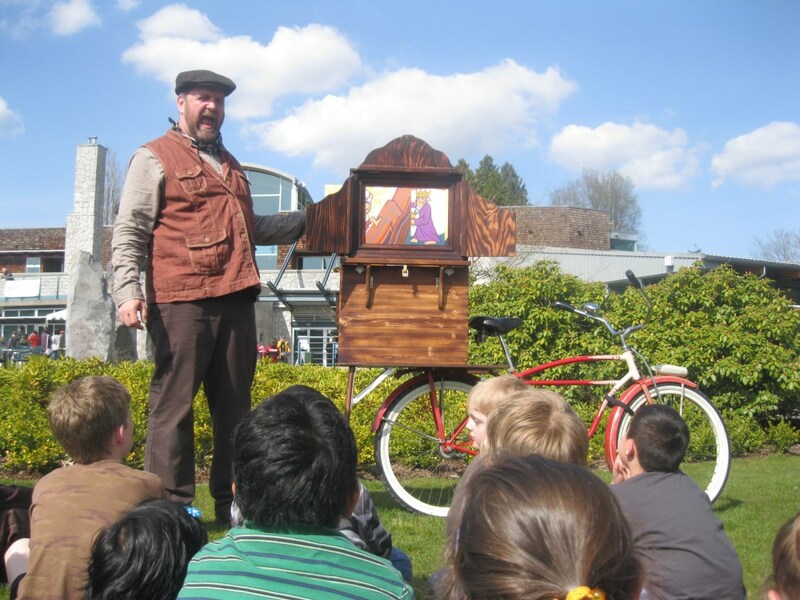 STORIES on WHEELS is an original street theatre storytelling act for the whole family. 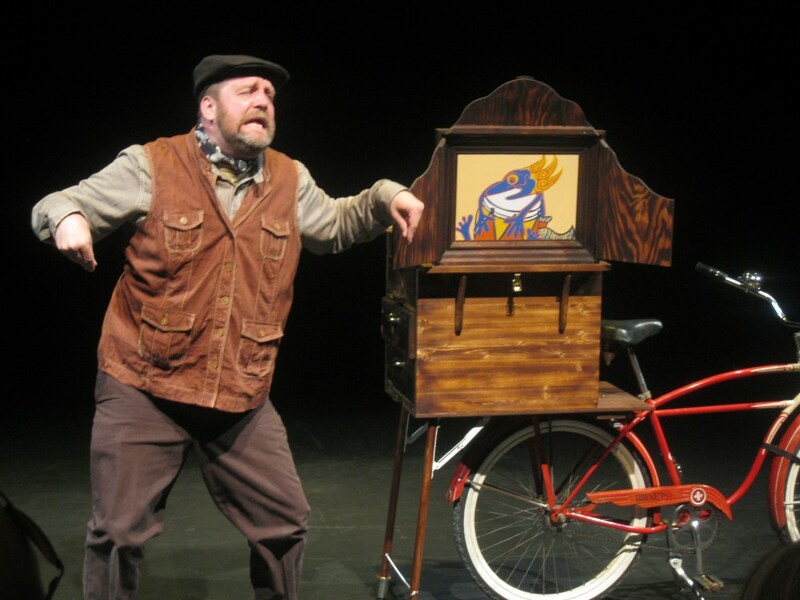 Tales are brought to life by a high-energy comic performer, using beautifully illustrated picture cards displayed in a magnificent miniature wooden stage attached to the back a bicycle. Download the STORIES on WHEELS brochure. 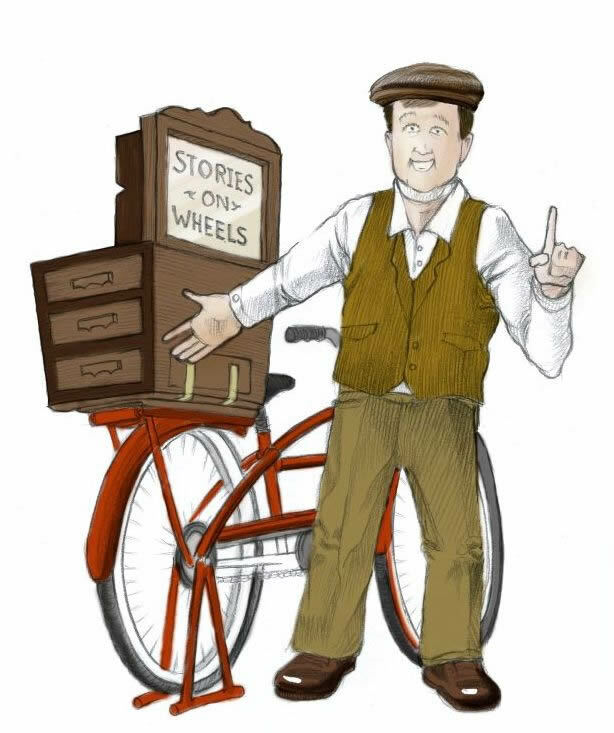 Watch a Shaw TV news segment about Stories on Wheels! 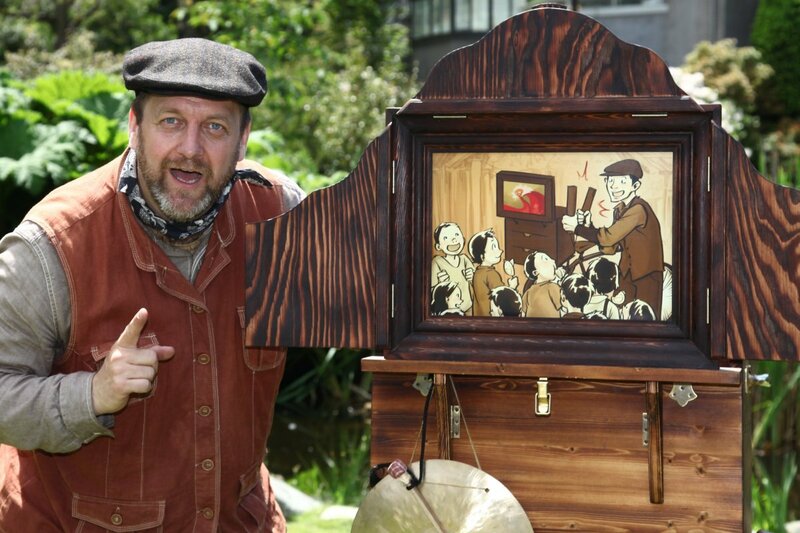 Inspired by a traditional Japanese travelling street show popular in the 1920s through 1950s, Kamishibai (literally paper theatre) combines the best of oral storytelling and narrative painting. Featuring gorgeous illustrations by local artists, as well as traditional picture cards from Japan, several short stories are told with music, dramatic action, and audience interaction. As well, the audience gets to hear an amusing and informative history of the art form. You’ve never been told a story this way, before! 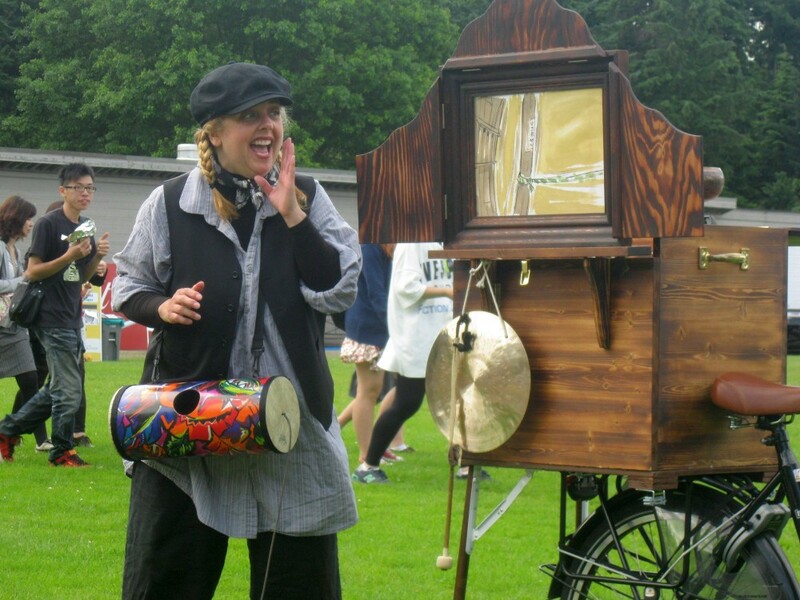 To book Stories on Wheels for school performances, contact ArtStarts in Schools. 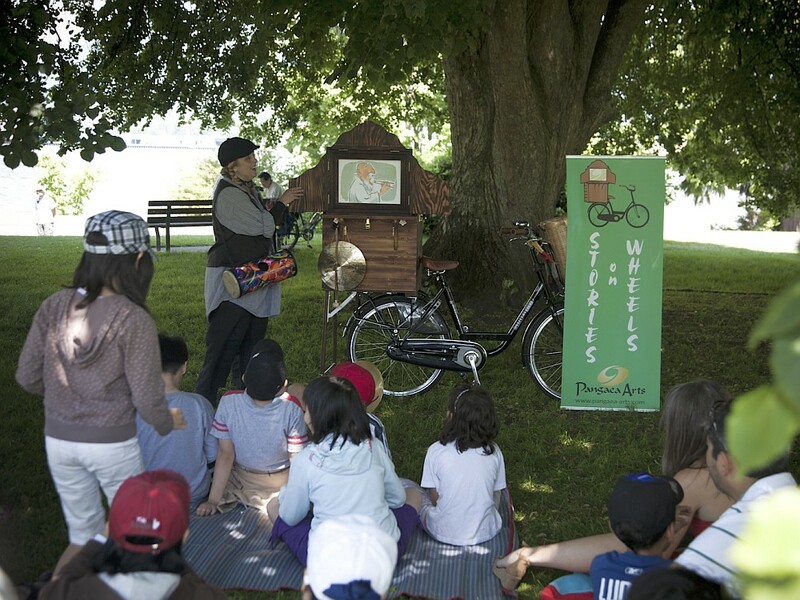 "Stories on Wheels was the hit of the 2011 Vancouver International Children's Festival! 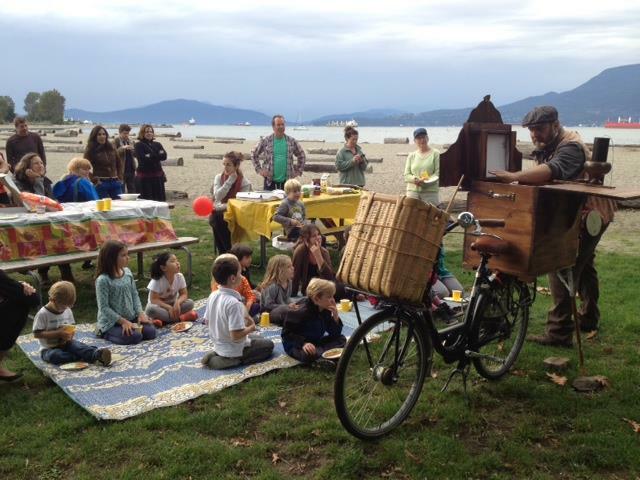 Families flocked to the storyteller as he gathered the crowd regaling them with ancient tales that delighted, enchanted and engaged the audience." 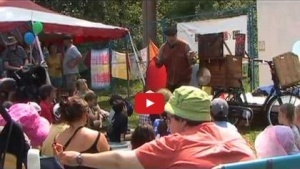 The show is extremely portable, low-tech, and flexible, and can be performed in a wide range of environments, from large theatres with full technical support, to classrooms, to impromptu street performances on a bit of grass or sidewalk. 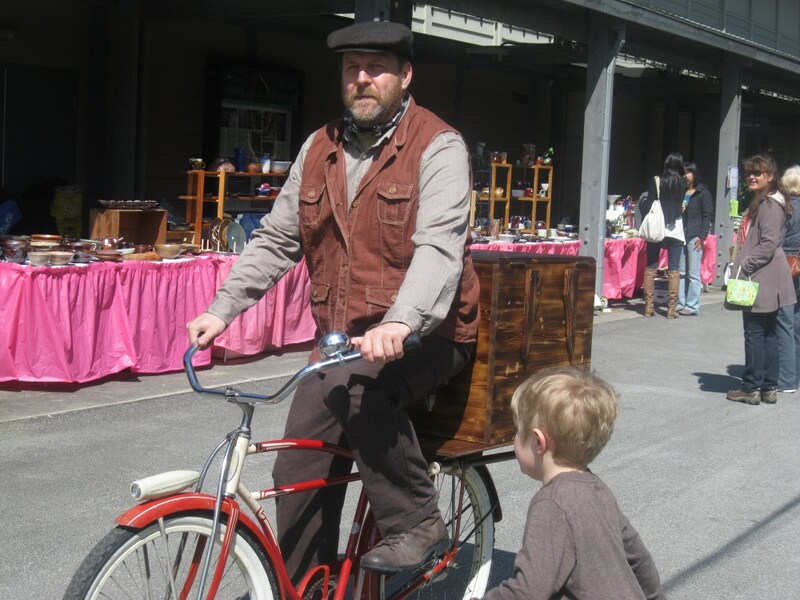 To keep informed about when you can see a public show, follow Stories on Wheels on Facebook, where we post info about upcoming shows that are open to the public. ©2015 Pangaea Arts. All Rights Reserved.